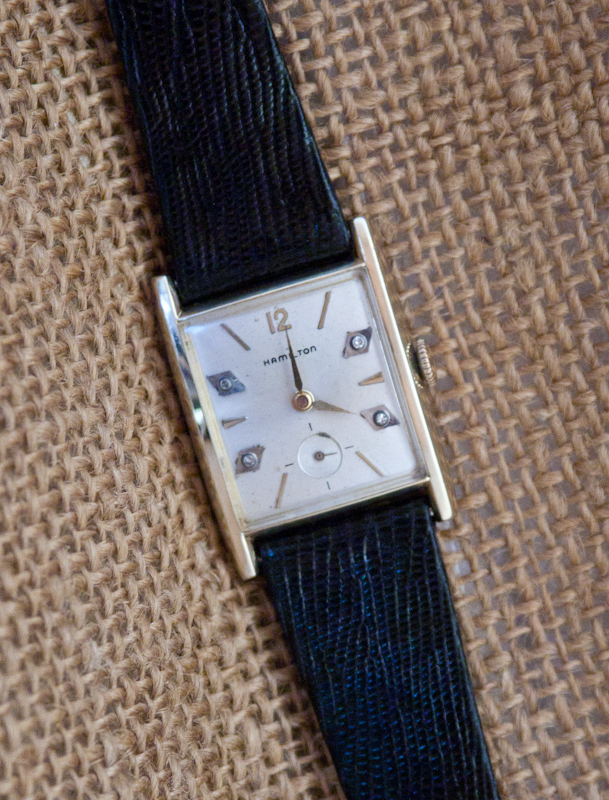 This Hamilton “Dawson” wristwatch is truly a piece of vintage 1950s Mad Men design.The original Hamilton dial has been modified by a jeweler to include 4 stone settings — at the 2, 4, 8, and 10 positions. The stones could be diamonds, but appear to our eyes to be something else. (We did not get it tested). While a lot of diamond dial watches tend to come off looking quite tacky, the Diamond Dawson (as we call it here!) manages a look that actually works; the result is an attractive watch suitable for formal wear. The Dawson is in Excellent condition. 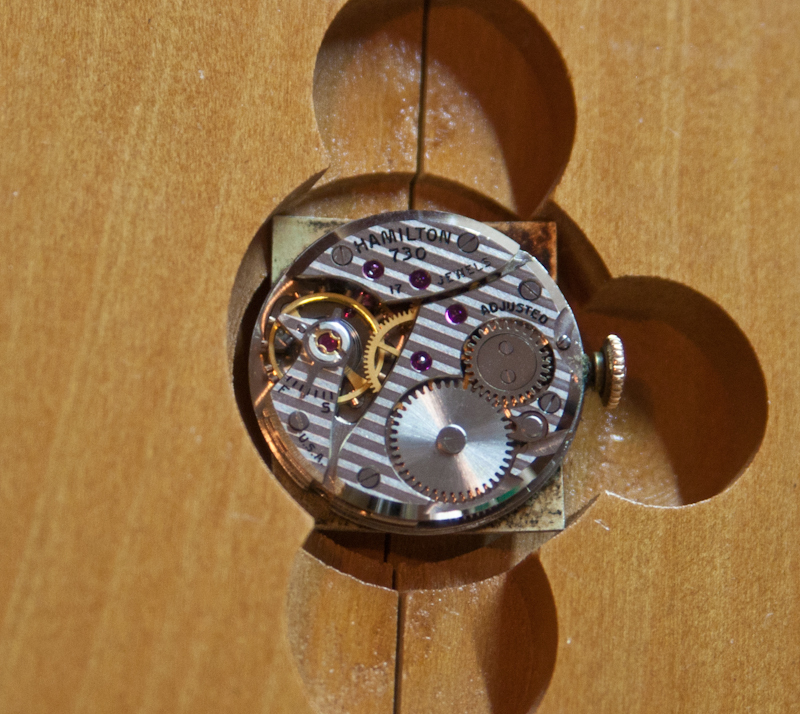 The white dial has applied gold numbers and sticks together with white (clear) stones in silver settings. There are a few lights spots on the dial, including a small spot on the top right edge of the seconds track. 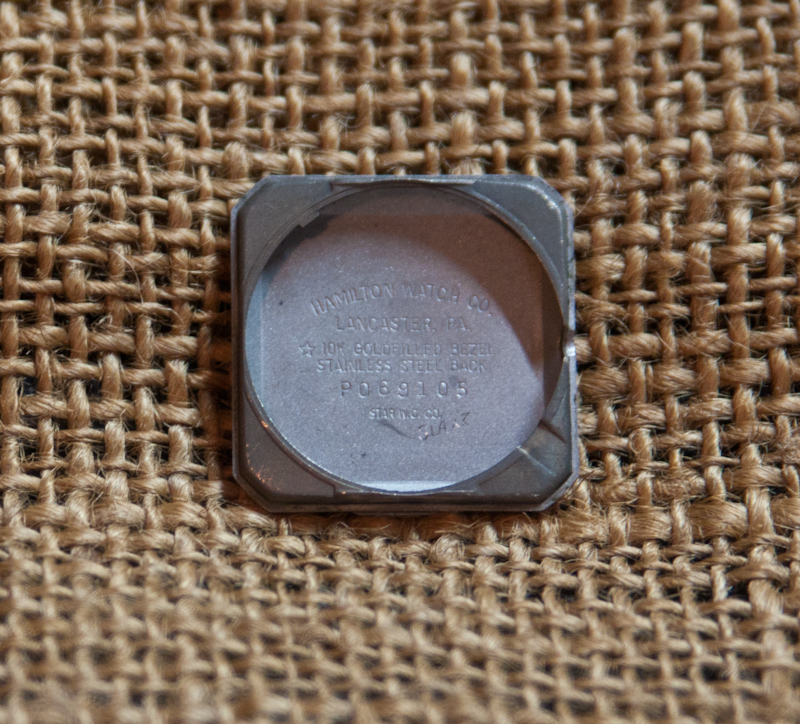 The crystal is plastic and without scratches. 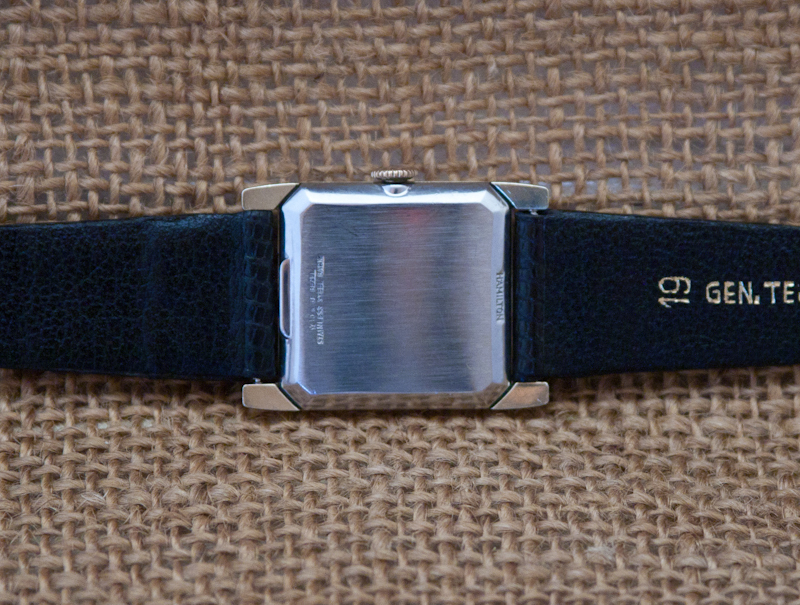 Both the minimalist bezel and the back are free from marks or wear. The bezel is 10K yellow gold filled. The back is stainless steel. 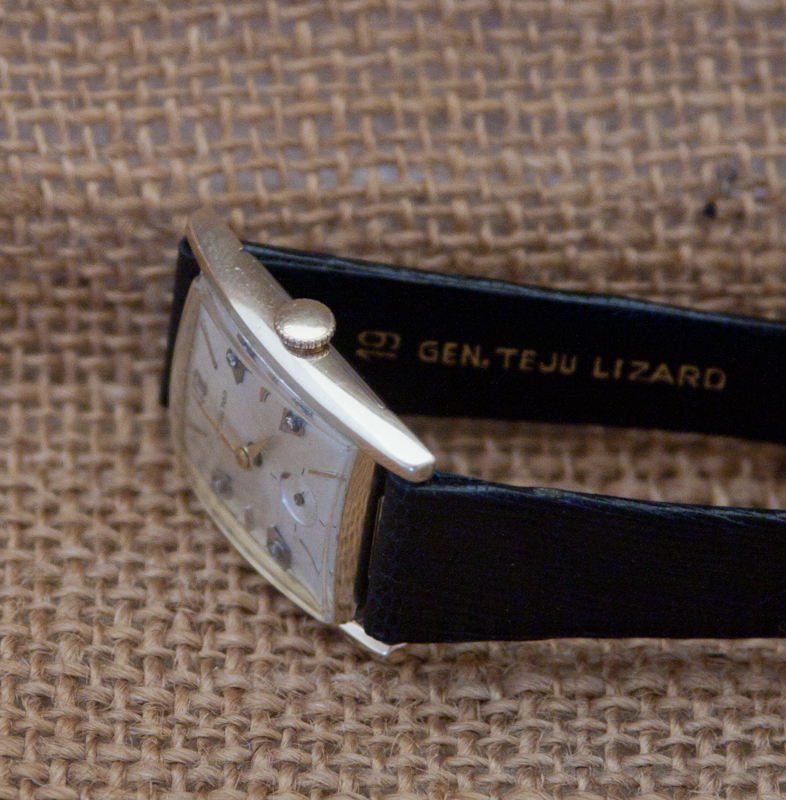 We’ve added to this watch a high quality teju lizard watch band. 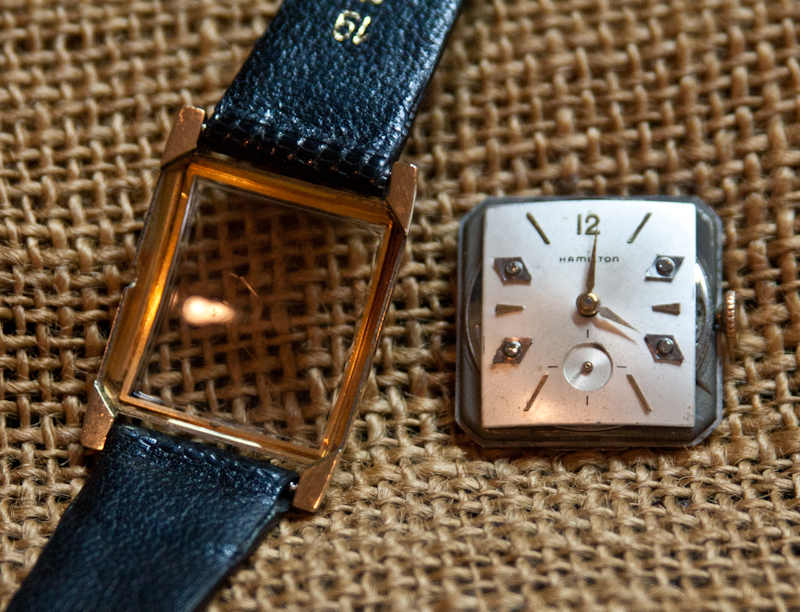 This is an excellent dress watch for those who want something special, but not over the top. The watch is powered by Hamilton’s 17 jewel 730 movement and is running strong and keeping excellent time. 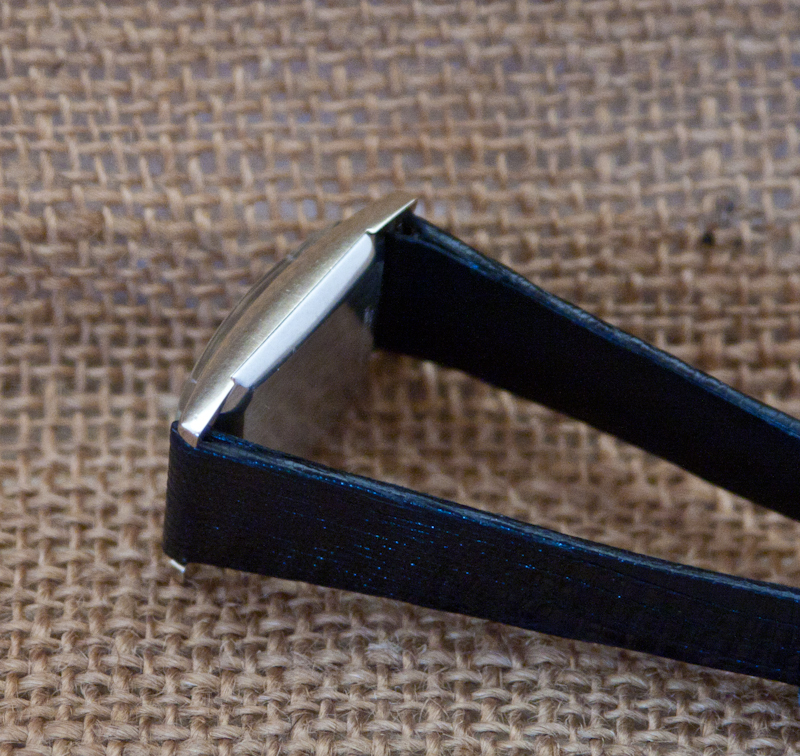 The case measures 29.3 mm wide (including the stem) by 27.3 mm long (not counting the lugs).